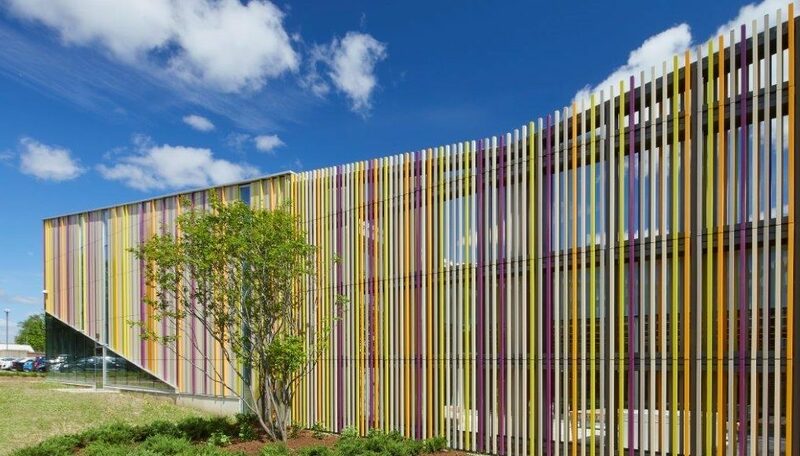 Terracotta, an ancient building material once suited to adorn the Babylonians’ palaces and temples, is a buzzworthy, customizable and durable façade option. 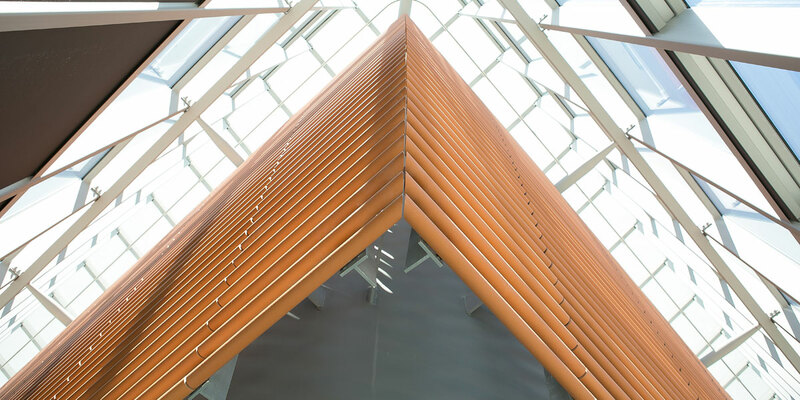 Architizer describes the long, sustainable lifecycle of this natural material; details its storied past; and offers insights on specifying a range of terracotta options in a recent feature with Christian Lehmann, Ceramic Engineer and General Manager of NBK North America. 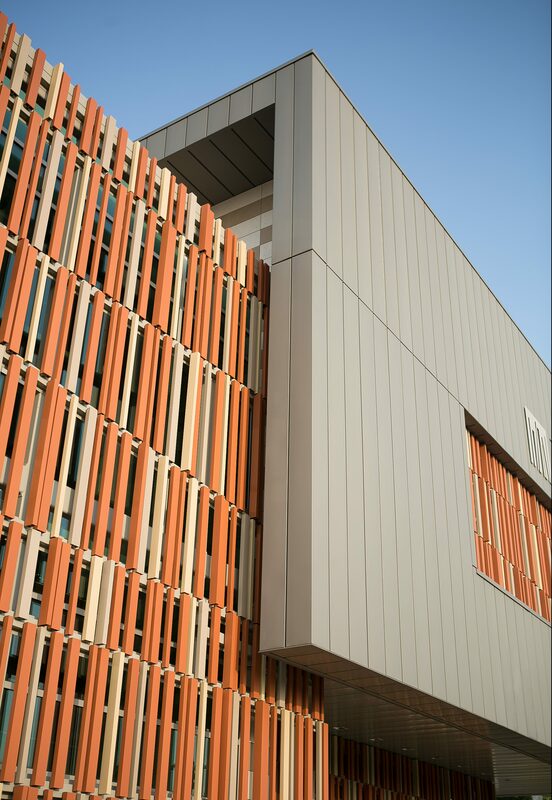 NBK terracotta façades bring style +sustainability to Albion Library. Photos by Lisa Logan Photography. 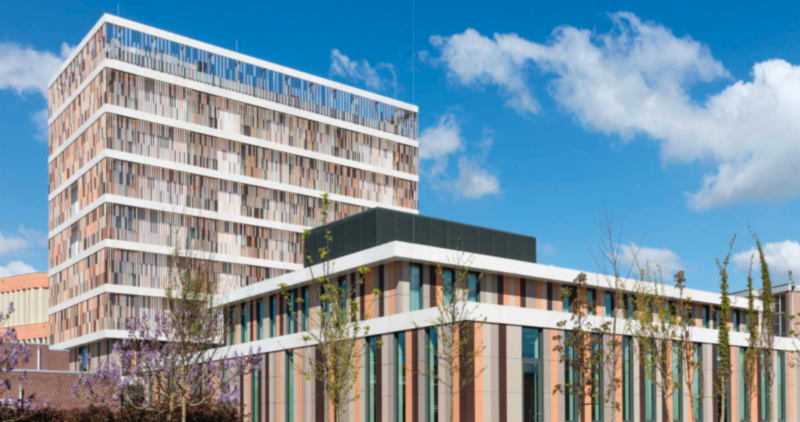 Lauded for both its sustainable and highly flexible design properties, terracotta offers virtually endless opportunities to create custom façades through a wide range of colors, glazed and natural finishes, and textural patterns. 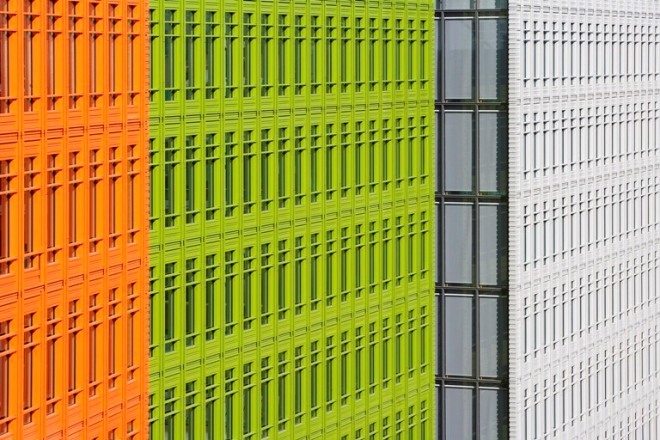 In recent years, Renzo Piano was one of the celebrated architects who revived it, pushing its limits in large-scale, high-profile projects. Piano’s noteworthy 1997 project, Potsdamer Square in Berlin, prominently featured a “bespoke curved terracotta façade,” Architizer explains. While terracotta is famous for its earthy red color, it actually can naturally take on a light cream to dark grey pigmentation. Building off its natural state, adding pigments and glazes can produce brilliant yellows, purples, greens, deep reds, and blues. The options are literally unlimited. Jim Olson, principal architect at Olson Kundig, opted for an eye-catching golden-colored terracotta exterior at Denver’s Kirkland Museum of Fine & Decorative Arts. The museum, which is aptly located in the city’s Golden Triangle Creative District, opened in March and features NBK’s terracotta baguettes in an array of yellows that complement the colorful art housed inside. Meanwhile vitrines, which are mounted to the façade, spotlight decorative objects, and literally bring the art to the street. It’s an exterior that “in particular commands attention” with its “irregular verticals in four shades of golden terracotta in a jazz-like rhythm,” writes Metropolis Magazine. 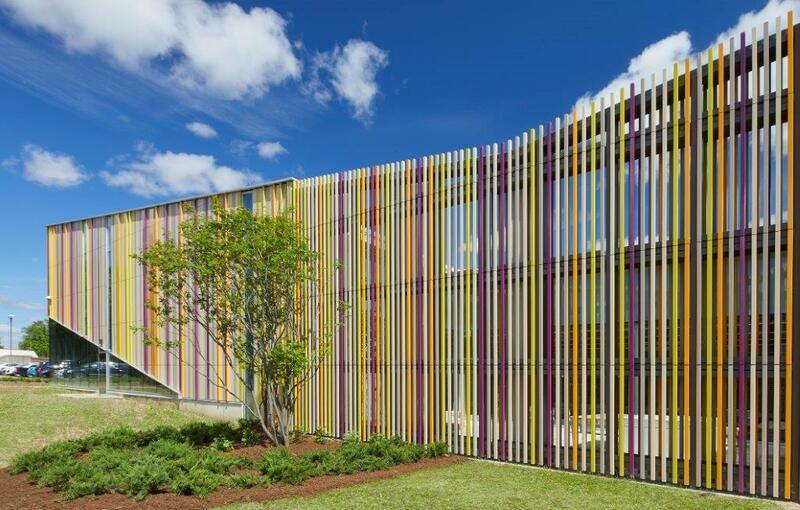 Perkins + Will added eye candy to an underprivileged Toronto neighborhood by wrapping the Albion Library in five brightly-hued shades of two-inch-wide slats of terracotta. 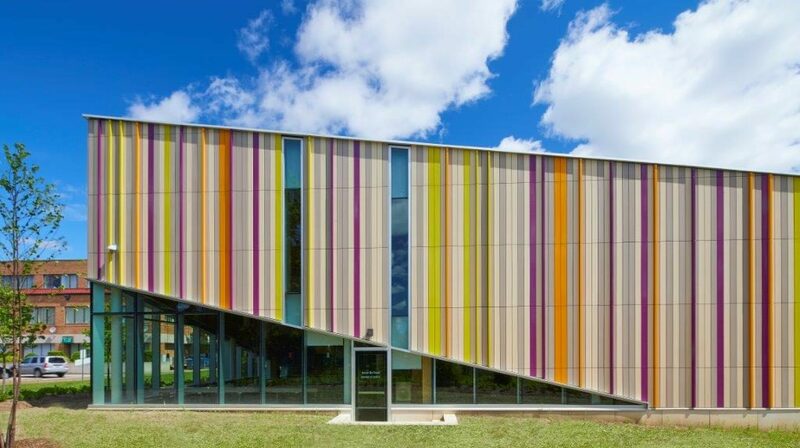 The friendly, colorful design in bright orange, chartreuse, purple and cream features a mix of both TERRART Large and Baguette glazed and natural vertical tiles, and acts as an ode to the many book spines that fill the library inside. 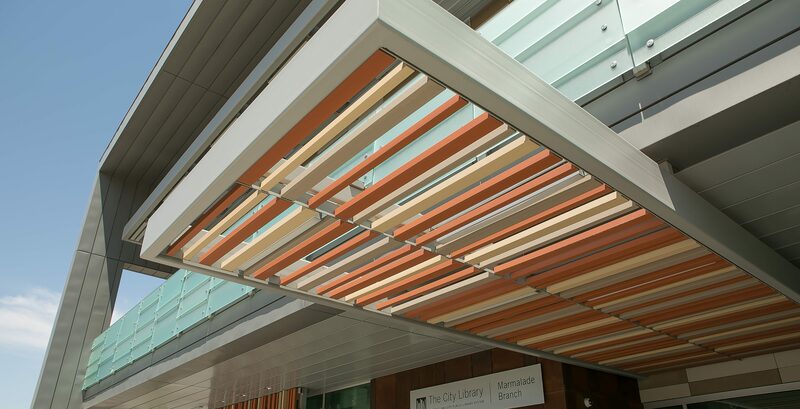 Another project, Salt Lake City’s Marmalade Library, creates an interesting effect by showcasing TERRART natural clay red and stone white shaded baguettes through a fresh, unexpected stacked arrangement that provides solar screening by day and offers a lantern-like glow by night. 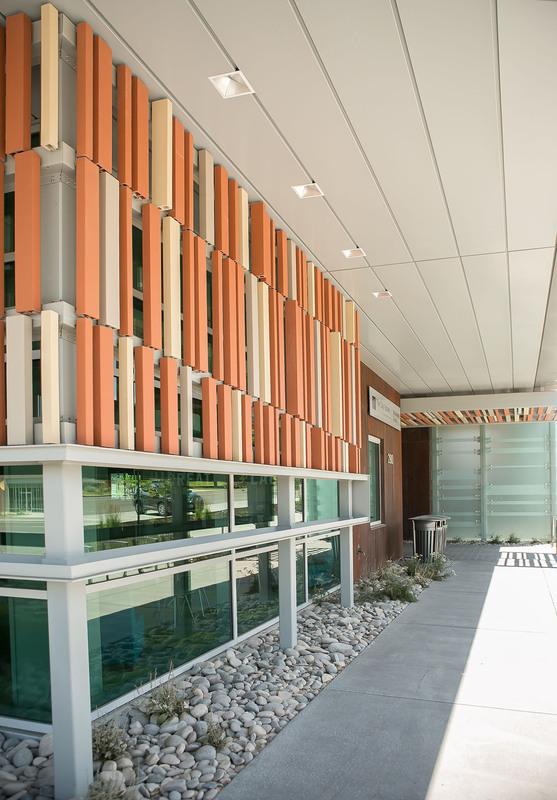 The library earned Best Project recognition in the small-project category from ENR. 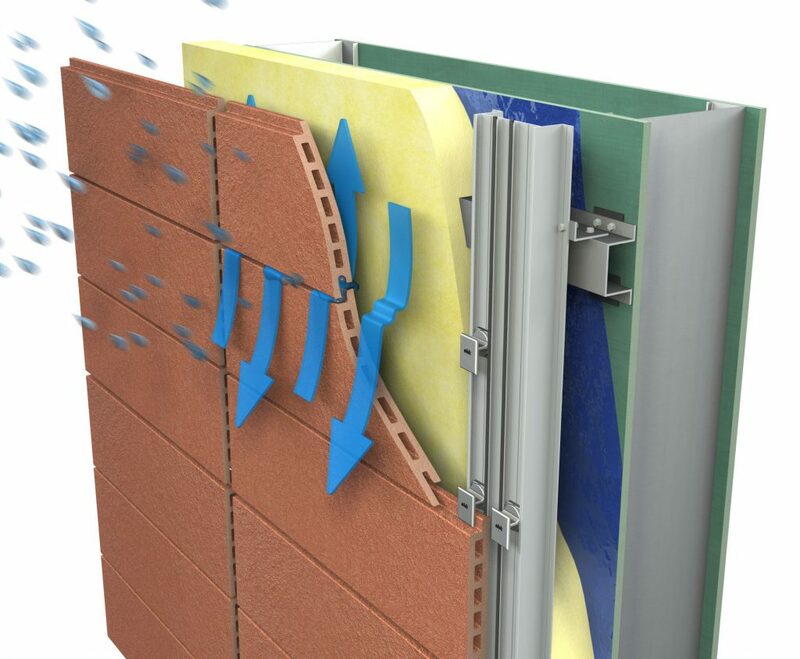 Further customization comes into play through terracotta’s ability to take on different textural finishes. These include adding personality through fine-peeled, peeled, fine-combed, medium-combed, sandblasted and honed finishes. 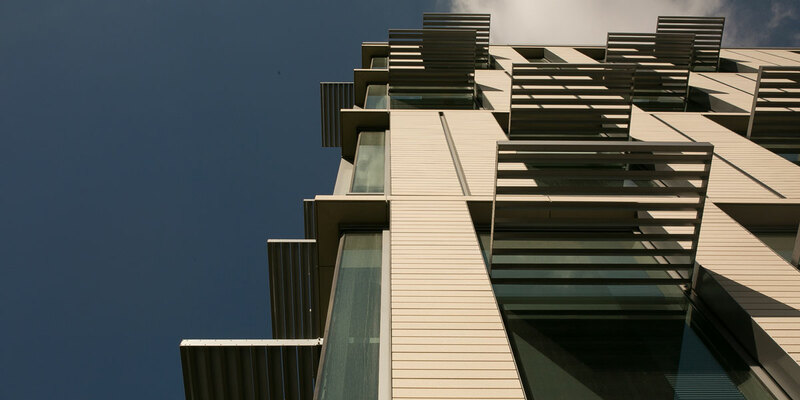 The Liberal Arts Building, at the University of Texas’ Austin campus, is clad in a terracotta that offers the clean, minimal look of limestone at a more attractive cost. The smooth, creamy-colored TERRART Light terracotta features the added design touch of a honed textured finish. “What I really hope to do is work with creative architects who will challenge us and the possibility of terracotta as a building product,” Lehmann reflects. 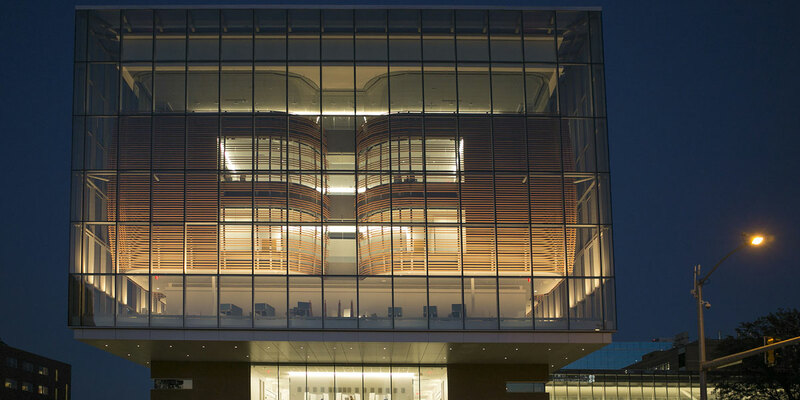 At the University of Kansas Medical Center – Health Education Building, two capsule-like structures inside are surrounded by a glass cube that looks like a lantern box. These are embedded in terracotta cages. With this “house behind glass,” the architects created a spectacular design that turns the view into an experience. 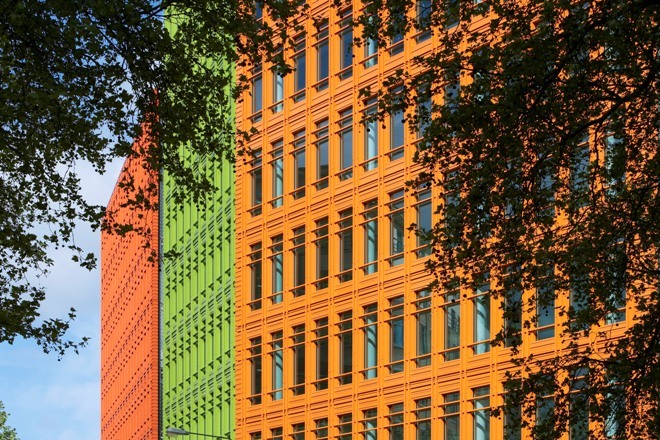 For details on specifying different types of terracotta and to learn more about its sustainable properties, check out the full interview on Architizer. ©2012- Hunter Douglas. All rights reserved.